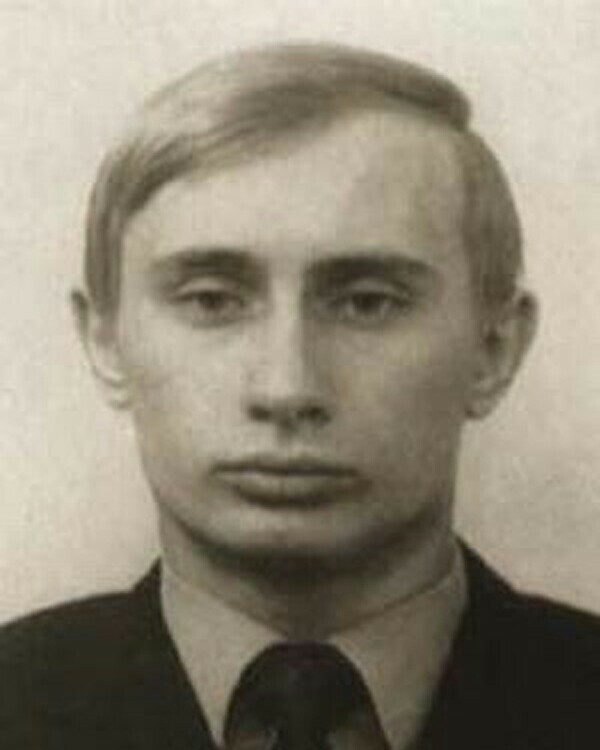 Vladimir Vladimirovich Putin (above). 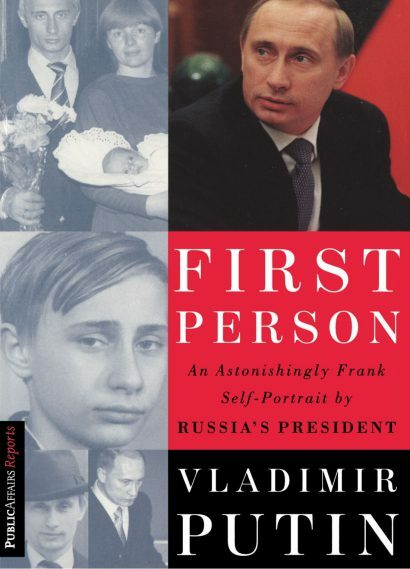 First Person: An Astonishingly Frank Self-Portrait by Russia’s President (Public Affairs, 2000) recounts what can now be called Putin’s early years in the form of an oral history. Putin’s co-authors explained the book’s goal was to answer the complex question “Who is this Mr. Putin?” While it provides big pieces of the puzzle that is Putin in a historical context, one can also extrapolate from First Person much that would be useful in understanding Putin’s approach to the West and what guides his actions currently. “He doth bestride the narrow world. Like a Colossus . . . .” These words from Act I Scene iii of William Shakespeare’s The Tragedy of Julius Caesar could certainly serve to describe a perspective that many in the West hold about Russian Federation President Vladimir Vladimirovich Putin. Indeed, there is a certain sense of wonder about him, his power, his will. Western observers ranginging from think tank analysts, learned scholars, journalists, leaders and officials in national capitals, former diplomats with firsthand experience with the Russian president along with self-styled experts with a comparatively paltry knowledge of him, have engaged in endless examinations of Putin. Many are actually more akin to in ruthless vivisections. So popular is the exercise of analyzing Putin and proffering views of him that the mixed bag of his observers are fashionably referred to as “Putinologists.” Many would argue that harsh criticism of Putin for his actions at home and abroad is deservedly meted out. Some very likely declare Putin’s decisions and actions unnecessary or unacceptable, desiring to sail with the prevailing wind. Yet, one might also intuit that the most ferocious attacks on Putin, typically spoken or written at great distance from Moscow, signal an almost inexorable fear of him. Uncertainty can breed fear. Surely, many things about Putin are difficult to understand, and, consequently, are misunderstood. In First Person: An Astonishingly Frank Self-Portrait by Russia’s President (Public Affairs, 2000), Putin, with the assistance of journalists Nataliya Gevorkyan, Natalya Timokova, and Andrei Kolesnikov, recounts what can now be called his early years. The book takes the form of an oral history instead a memoir or autobiography. It does not simply provide a history of events, organizing them more or less along a timeline. Putin’s co-authors explained the book’s goal was to answer the complex question “Who is this Mr. Putin?,” or at least bring the reader a little bit closer to understanding Russia’s “new president.” Putin was interviewed by his three co-authors on six separate occasions for approximately four hours at a time. They discussed his life. Whenever questions proved to be uncomfortable, too invasive, he would ask them to turn off the tape recorder. The co-authors also interview his family members and people who knew him well or played an important role in his destiny. The book includes only the interviewers’ questions and the responses of Putin and his relatives and colleagues. His co-authors recognized the book’s format was unusual. If questions caused either Putin or his relatives to reminisce or ponder, they were never interrupted. No editorial lines were added to the text. The interviews generally occurred late at night, around the dinner table. Once they were conducted at Putin’s office at the Kremlin. The co-authors met with Putin’s wife and with two daughters at his dacha. The 208 page book has nine “parts.” Those parts are organized as follows: The Son; The School Boy; The University Student; The Young Specialists; The Spy; The Democrat; The Bureaucrat; The Family Man; and, The Politician. Included in the book are several extraordinary personal photos of Putin and his immediate family. Photos of Putin taken closest to the time of publication show him before he had the eyes of the experienced, battle-scarred leader. His eyes appear similar to those of the very best students of a fine university, watching and peering, learning and discerning constantly in order to best prepare himself to lead Russia into the future. First Person did not have to compete with other texts on Putin at the time of its publication. There was a fog of uncertainty that hampered the ability of observers to view power players in Russia beyond Russian Federation President Boris Yeltsin. Moreover, for a while after Yeltsin took power following the 1991 coup d’etat attempt against Soviet President Mikhail Gorbachev by the Gang of Eight and the subsequent Second Russian Revolution, the selection process for officials in the Yeltsin government was a bit higgledy-piggledy at that stage. Officials in top positions would come and go. Putin’s name was among those that emerged in the midst of everything. He garnered modest media attention internationally. While it increased once he became acting president, it reached nothing close to his current prominence and celebrity. First Person was largely viewed in the West as a campaign biography. It was first published in the Russian newspaper Kommersant as such. A New York Times review of First Person stated, “The new Russian leader, Vladimir Putin, who is 47, has been a bit of a mystery man. Outside of his former colleagues in the KGB and in St. Petersburg city government, few had heard of him.” Interestingly, a review of the book in Foreign Affairs stated, “He offers little hint of the direction in which he intends to lead probably because he does not know.” First Person may have garnered interest beyond Russia hands around the world, but it did not make any best seller lists. Other books providing a picture of Putin’s activities before and just after he became president have been published, but those texts only tell Putin’s story in the third person. First Person provides a “first person” account of those events. By delving deep into the book, greatcharlie found that it prefigured the world leader that Putin would become. Reading First Person, it might even seem to some that for cosmic, preternatural, or even divine reasons, Putin was prepared, expected, not put in place by coincidence. First Person is rarely mentioned in present-day commentaries about Putin. The book’s important information should not lay inert, unread. First Person provides big pieces of the puzzle that is Putin in a historical context. Yet, one can also extrapolate much from it that would be useful in understanding Putin’s actions and in interpreting what guides his current approach to relations with the West. Who is the Russian Leader? Before delving into details of this very unique and edifying book’s discussion, it is necessary to offer a bit more about the world renowned national leader who is its author. A succession of political positions were thrust upon Putin shortly after he left the Soviet Union’s Komitet Gosudarstvennoy Bezopasnosti (the Committee for State Security) known better as the KGB—the agency responsible for intelligence, counterintelligence, and internal security. Once on the right path, he broke all sorts of records on his way to the top. In 1997, he served as head of the Main Control Directorate. In 1998, he was named first deputy head of the Presidential Administration, responsible for the regions. In 1998, he was ordered to serve as director of the Federal’naya Sluzhba Bezopasnosti Rossiyskoy Federatsi (Russian Federation Federal Security Service) or FSB. Later that same year, he was named Secretary of the Security Council. In August 1999, he was made prime minister. It was Russian Federation President Boris Yeltsin’s unexpected resignation on New Year’s Eve 1999 that resulted in Putin’s elevation to the Kremlin. He then won the 2000 Russian Federation Presidential Election much to the surprise of Western experts. Putin did not inherit an ideal situation in Russia when he became president. 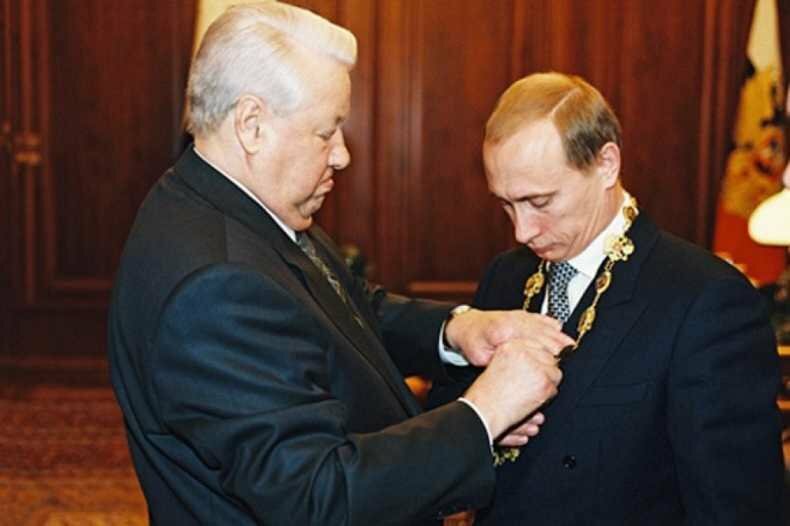 While on his way to the top of the political heap, Putin saw how mesmerising “reforms” recommended to Yeltsin’s government by Western experts drastically impacted Russia’s economy in a way referred to somewhat euphemistically by those experts as “shock treatment.” Yeltsin was unaware that Western experts were essentially “experimenting” with approaches to Russia’s economic problems. His rationale for opening Russia up to the resulting painful consequences was not only to fix Russia’s problems but ostensibly to establish comity with the West. The deleterious effects of reform recommended by Western experts’ could be seen not only economically, but socially. In the West, alarming statistics were reported for example on the rise of alcoholism, drug addiction, birth defects, HIV/AIDS, a decreased birth rate, and citizens living below the poverty line. 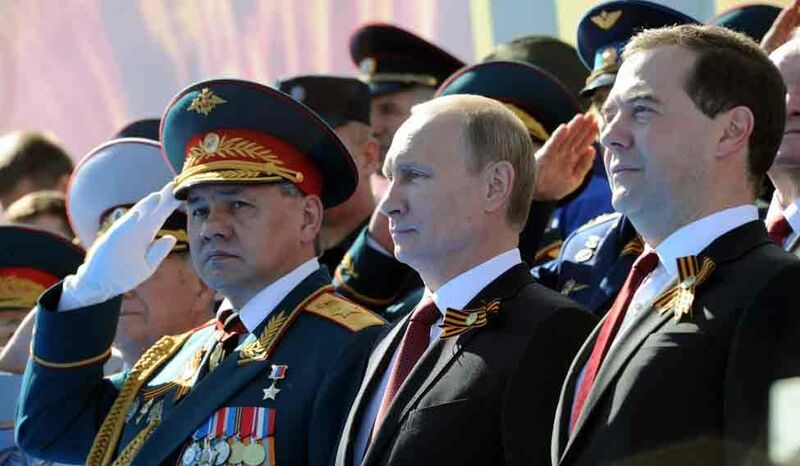 Glum faces on Russian officials who apparently sensed that the society, all of its institutions, was sliding downward, moving closer to the darker days of the Soviet era. Putin recognized that along with the trials created by the collapse of the Soviet Union and ensuing economic hardships Russia suffered, came a loss of prestige and the image of power. That loss was made worse by newsmedia reports from Russia’s second war in Chechnya which was brutal and at times seemed unwinnable. As Russia’s privation was publicized internationally, perceptions of Russia changed for the worst worldwide. However, Putin saw no need for Russia to lose its dignity as a result of its large step backward. Putin believed Russia would rise again, and that some acceptable substitute for the Soviet Union might be created. He never lacked faith about that. (In later years, Putin would not hesitate to inform leaders of countries that were once Soviet republics of his intention to bring them back under Moscow’s political, economic, and military influence.) Putin was loyal and obedient while he served Yeltsin, but saw him tarry too long as Russia strained in a state of collapse. The English mathematician and philosopher Alfred North Whitehead stated “The art of progress is to preserve order amid change and to preserve change amid order. When Putin took power, the West expected him to give it nothing less than his unequivocal cooperation in a manner similar to his predecessor. Western capitals also expected Putin to be a bit wobbly taking on so much responsibility at a relatively early age. Yet, Putin knew his shoulders could bear the burden. He had no desire to be just a man of the moment in Russia. Much as Yeltsin, Putin, too, showed patience toward the West for a while, but he did not procrastinate. He took on the mission of breathing fresh breath into a country that was dying. He pushed ahead with plans “to save” Russia from disintegration and frustrate what he sensed were Western efforts to weaken it. Indeed, Putin did not believe congenial relations with the West were authentic given the many years of geopolitical struggle. Putin believed then, and believes now, that the greatest danger to Russia comes from the West. He believes Western governments are driven to create disorder in Russia and make it dependent of Western technologies. Still, Putin has shown that would prefer to outthink his rivals in the West rather than fight them. That notion has influenced his responses in contentious situations. It also accounts for the sustained peace with the US. In a September 11, 2013 New York Times op-ed, Putin took umbrage over the idea of “American exceptionalism.” Putin is unlikely thrilled by the slogan “Make America Great Again,” or the concept “America First.” surely, the West is not Putin’s only concern, but relations with it affects Russia’s prestige and ability to act globally. Putin was proactive as he tried to get a real handle on things. His challenges of the West were timed, calculated risks. Still, despite being measured in his approaches, in a few cases, he did gamble a bit. Former US President Calvin Coolidge explained plainly: “Knowledge comes, but wisdom lingers. It may not be difficult to store up in the mind a vast quantity of facts within a comparatively short time, but the ability to form judgments, requires the severe discipline of hard work and tempering heat of experience and maturity. There is a chorus of Putinologist who have proclaimed Putin’s style of management was shaped by his career as an officer in the KGB. For some time, greatcharlie agreed with that assessment. The KGB certainly had an impact on him. He reached the rank of lieutenant colonel before retiring. Putin’s experience as a KGB officer was also valuable in planning policy approaches and doing things as effectively as they were done at the tactical level in the field. Yet, through a reread of First Person, greatcharlie recognized as Putin admitted in the book, that his seven years of experience working the local government of St. Petersburg was good learning experience for both administrative and managerial work. To the extent that his civilian work experience in St. Petersburg and KGB service coalesced, as president, Putin has sought the assistance of a small group of men who served alongside him in St. Petersburg during his KGB career. As chief executive, Putin proved skillful in the handling the day to day operations of the government. He managed to shape his environment by developing approaches for issues such as combating terrorism, combating and controlling organized crime, curbing foreign influences, improving public safety, improving public health, business reform, invigorating industries, controlling oligarchs. To use a soft metaphor, Putin tilled the soil so that he could plant his plans and programs for Russia’s future with certainty that they would grow. He had a hand in everything, and his touch was heavy. Putin’s decisions were always well-informed, not by reading reports handed to him, but through his own research on anything in which he had an interest, and in international affairs, through good use of streams of intelligence. However, Putin also made good use of his intuition to discern his opponents’ thinking, and has paid heed to his intimations about their courses of action. More often than not, he hits the mark. Putin sought to take on qualified ministers, directors, and other officials to handle specialties. That effort was hampered to an extent during Putin’s early years in power given the need to respond to the wishes of certain patrons. Still, Putin never hesitated to fire those foisted upon him or his handpicked hires, whether former KGB or not, when they failed to perform. Putin has known what advice, prognostication, and proposals to accept in order to promote his efforts at home and internationally and develop a coherent set of policies. Since he brings his “A-game” to his office everyday, striving for perfection and hungering for improvement, and he expects the same from his cabinet. There are never any spectators, passengers along for the ride. All must be able to answer the who, what, when, where, why, and how of issues they cover, because that is what Putin will ask for. At the present, Putin is probably working with the best cabinet he has ever crafted both in terms of the quality of their work and chemistry. Patriotism permeates everything Putin does. It is hard to imagine how he would think any other way, given ideas on sacrifice for the motherland that Putin acquired from his parents, grandparents, and other family members. Yet, much of what he learned of his family’s valor was caught by him, not taught. He said: “when relatives would come to visit them in St. Petersburg, there would be long chats around the table, and I would catch some snatches, so many fragments of the conversation.” Putin’s grandfather was a cook for Josef Stalin and his father served gallantly in a NKVD battalion during World War II. First Person does not simply provide a history of events, organizing them more or less on a timeline. What is most intriguing and very unique about First Person is what each chapter reveals about Putin’s thinking; what is in his mind. One is also provided with a cultural context in which to examine how Putin moved, lived during the years covered. 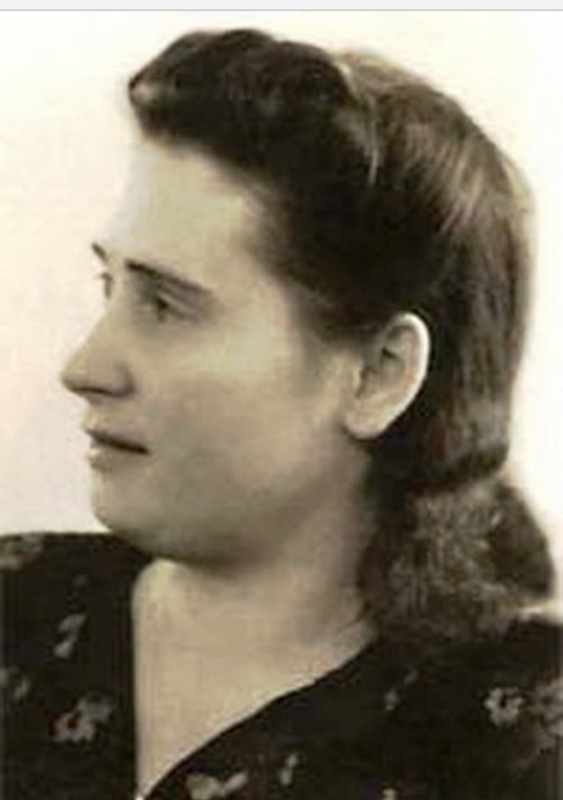 Putin’s mother, Mariya Ivanovna Putina, née Shelomova (above). Putin’s mother attended church and had him baptised when he was born. She kept it a secret from his father, who was a party member and secretary of a party organization in his factory shop. During World War II, her baby son came down with diphtheria and died, and she nearly died as well from starvation. She managed to live through the entire German blockade of Leningrad. 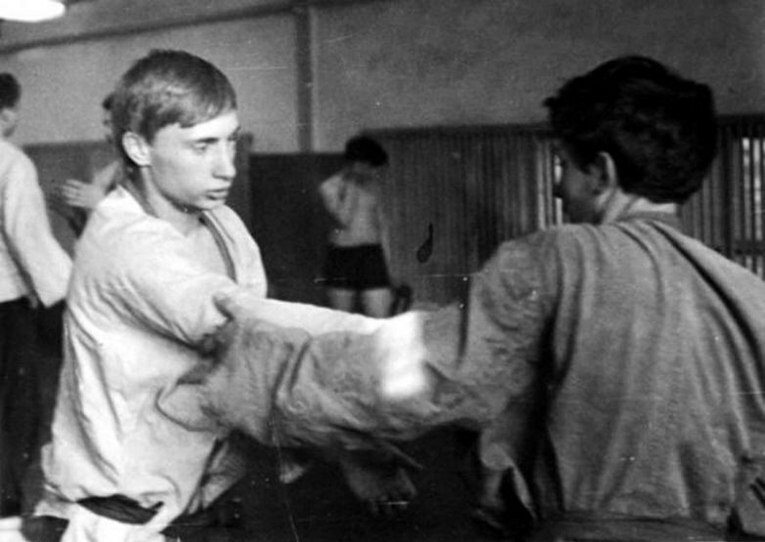 Putin’s focus and performance in school improved and his bad behavior was more or less extinguished once he was introduced to the martial arts, more specifically, judo. Putin notes that he became involved with sports when he was 10 or 11. 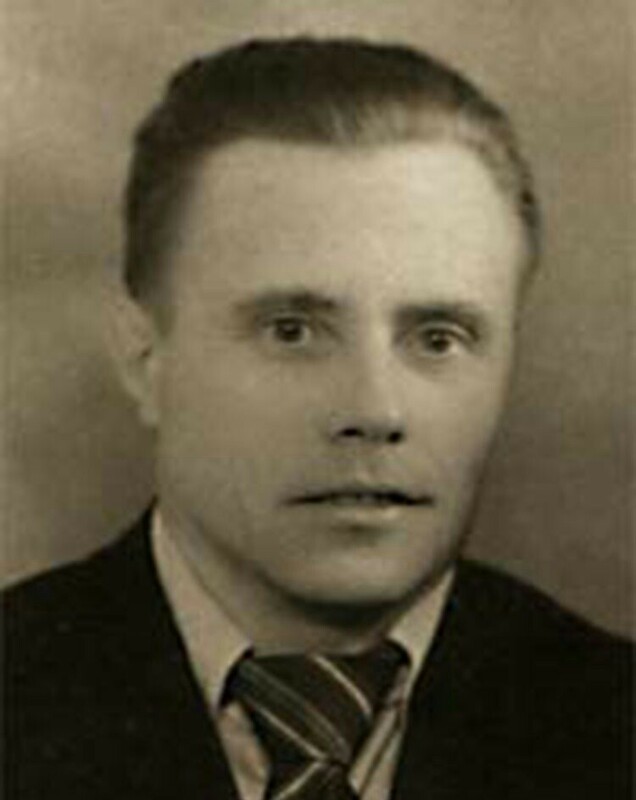 His trainer was Anatoly Semyonovich Rakhlin, a man who devoted his whole life to his art. Putin said Semyonovich played a decisive role in his life, believing that if he had not become involved in sports, he could not say for certain how his life would have turned out. 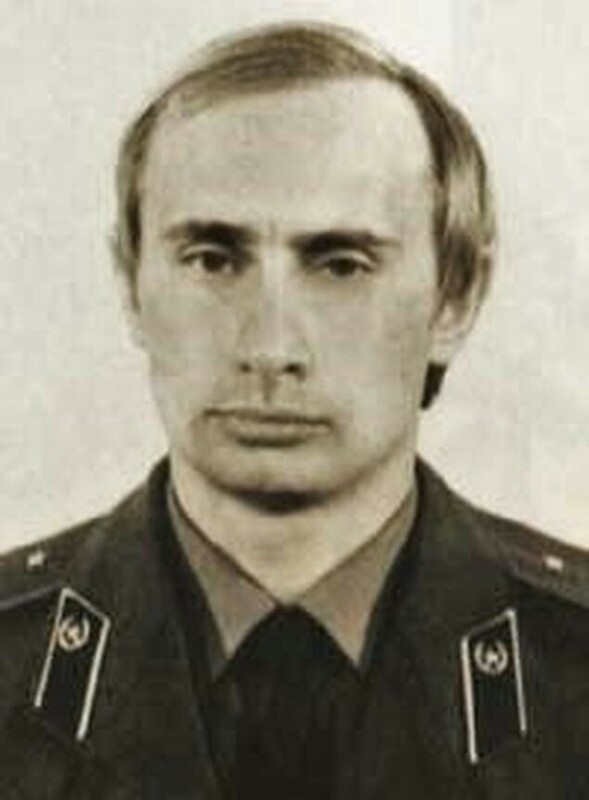 File photo of Putin as a young KGB officer (above). 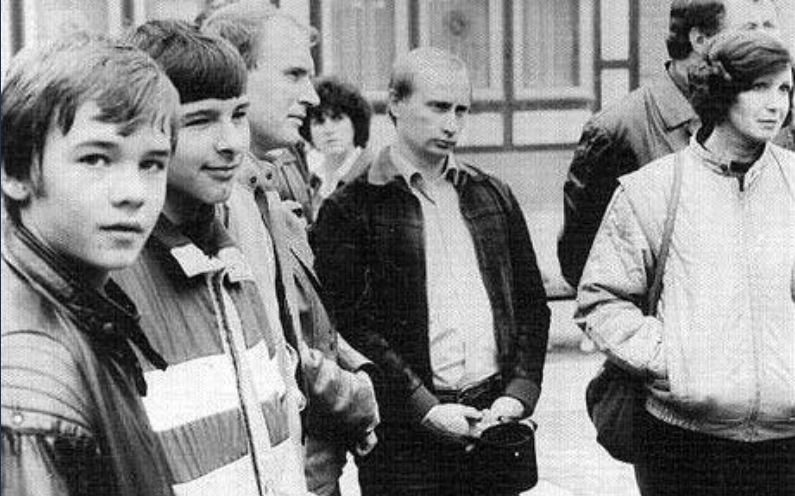 Putin reveals that at an early age, he wanted to serve in intelligence. The genesis of the idea were books and spy movies. Putin explained: “What amazed me most of all was how one man’s effort could achieve what whole armies could not. One spy could decide the fate of thousands of people.” His mother and father, with the help of his coaches tried to dissuade him from his career choice to no avail. In ninth grade, Putin visited the KGB Directorate’s office to investigate the possibility of working there. A few years later, his dream surprisingly became a reality. Putin in the GDR (above). When asked by the interviewers if work in the KGB was what he imagined it would be or what he was expecting, Putin said: “No, of course it wasn’t what I had imagined. I had just come from university, after all. And suddenly I was surrounded by old men who had been in their jobs during those unforgettable times. Some of them were just about to go into retirement.” As a novice at the KGB, Putin’s intent was to be honest in his own convictions within the parameters of his mission. However, actual work with longtime agents put his beliefs to the test. As for the remaining stages of Putin’s training, he explains in Part 4 that for several months, he “went through the formalities and knocked off some cases.” He was sent to agent training for six months. Putin noted that the school in Leningrad was not too exceptional. Once his superiors believed he had mastered the basics, Putin was sent to Moscow for field preparation. After completing his studies in Moscow, Putin returned to St. Petersburg and worked about six months in the counterintelligence division. In Part 5, Putin expounds on the type of work in which he was engaged for the greater part of his KGB career. He said that during his counterintelligence training, officers from foreign intelligence began to notice him. He recounts: “They wanted to talk. First one conversation, then another, then a third and a fourth . . . Intelligence is always looking for more people for themselves, including people from the security agencies. They took people who were young and had certain appropriate qualities.” Putin was very pleased by their actions because he, just as everyone else, desired to work in foreign intelligence. It meant travel abroad under the conditions of the Soviet Union, and espionage was considered the white collar job in the agencies. Putin admitted that there were many people who exploited their position in order to trade in foreign goods. It was an unfortunate fact. Without hesitation, Putin agreed to go into intelligence. He was sent for special training in Moscow for one year. He then returned to Leningrad and worked in the “first department.” The first chief directorate is intelligence. It had subdivisions in all the large cities of the Soviet Union, including Leningrad. He worked there for approximately four and a half years, and then went to Moscow for training at the Andropov Red Banner Institute, which is now called the Academy of Foreign Intelligence. Putin recognized from the start at the Red Banner that he was being prepared for Germany. It became especially clear once faculty began pushing him to study German. He said it was just a question of where: the German Democratic Republic (GDR) or the Federal Republic of Germany (FRG). Putin explained that there were prerequisites for working in the FRG. An agent had to work in the appropriate department of the central office of the KGB. He had to languish there for one to three years. It was based on the individual. If an agent wanted to go to the GDR, he could go immediately. Putin chose the later. What might be of special interest of readers would be Putin’s description of his work in the GDR, particularly as it relates to NATO and political figures and political activities in the West. Putin said, “The work was political intelligence,” obtaining information about political figures and the plans of the main opponent: NATO. Interestingly, Putin says he never travelled to the FRG to perform his tasks. In a more precise statement of his intelligence activities he intriguingly described them as follows: “The usual intelligence activities: recruiting sources of information, obtaining information, analyzing it, and sending it to Moscow. I looked for information about political parties, the tendencies inside those parties, their leaders. I examined today’s leaders and the possible leaders of tomorrow and the promotion of people to certain posts in the parties and the government. It was important to know who was doing what and how, what was going on in the foreign Ministry of a particular country, how they were constructing their policy on certain issues and in various areas of the world, and how our partners would react to disarmament talks. Of course, in order to obtain such information, you need sources. So recruitment of sources, procurement of information, and assessment and analysis were big parts of the job. It was very routine work.” Putin makes it all sound so routine, while in the West today, revelations about such intelligence activities by Russia tend to overwhelm those who are just learning about it all. Putin described his work in the GDR as political intelligence: obtaining information about political figures and the plans of NATO. He sought information on political parties, tendencies within them, and their leaders. He examined: today’s leaders and the possible leaders of tomorrow; the promotion of people to certain posts, who was doing what and how, what was going on in a country’s Foreign Ministry; how it was constructing policy on key issues and regions globally; and, likely reactions of partners to the disarmament talks. Quidquid ages, prudenter agas et respice finem! (Whatever you do, do cautiously, and look to the end!) In Part 6, Putin reviews the intriguing course of events that led him to leave his beloved KGB and work in the local government of St. Petersburg. Putin had become somewhat disturbed by his fellow countrymen’s insouciance toward the decay of both order and humanism in the Soviet State when returned home from the GDR. He was offered a job in the central office in Moscow, but he turned it down. Putin explained to the interviewers: “I knew that there was no future to the system. The country didn’t have a future. And it would have been very difficult to sit inside the system and wait for it all to collapse around me.” At that time, the work, in which Putin and his colleagues were engaged, did appear no longer necessary given how he described it. 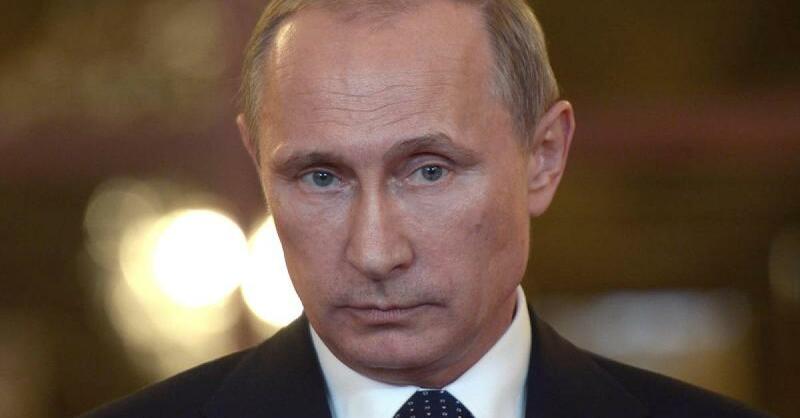 Putin remarked: “What was the point of writing, recruiting, and procuring information? Nobody at Moscow Center was reading our reports. Didn’t we warn them about what was coming? Didn’t we provide them with recommendations on how to act? There was no reaction. Who wants to work for nothing? To spend years of your life–What for–just to get paid?” Putin went on further with examples: “Let’s say, for example, that my friends in the scientific and technical intelligence paid several million dollars for some information about an important scientific discovery. It would have cost our country billions of dollars to independently develop the same project. My friends could procure the information and send it to the Center. People there would look at it and say ‘Wonderful. Great information. Thanks. Kisses. We’ll recommend you guys for medals.’ But then they would not use the intelligence. They wouldn’t even try, because the technical level of our industry simply didn’t allow for it.” Putin admits that when he returned from the GDR in January 1990, he continued to work in the agencies, but he quietly considered a backup plan. In the forefront of his thinking was his two children, and his need to support them. After a few interesting turns, his fortune improved a bit after he was asked to go “undercover” at Leningrad State University (LGU). It was an assignment Putin was happy to take, as it would allow him to write his doctoral dissertation in international law, become familiar with LGU, and perhaps help him get a position there. In following, in 1990, he became the assistant for international liaison to Stanislav Petrovich Merkuriev, the president of LGU, and someone Putin described as a good man and brilliant academic. Putin was able to reestablish contact with many old friends from the law faculty. Several of them had stayed on there, defended their dissertations, and became instructors and professors. One of them asked him to help Anatoly Aleksandrovich Sobchak, the chair of the Leningrad City Council. Putin explained his thinking on the matter: “Sobchak needed someone good on his team. Apparently, he was surrounded by crooks. Would I go and work for him? “You know, I have to think about it,” I said. “I’m a KGB personnel officer, after all. And he doesn’t know that. I could compromise.” As for his KGB status, Putin was placed in the active reserves. He explains elsewhere in the book that it was in the reserves that he reached the rank of full colonel. “Just talk to him,” his university friend reportedly said. Sobchak was already a famous and popular person that Putin admitted to observing what he did and said with great interest. He confessed that he did not like everything he saw, but Sobchak had gained his respect. Putin revealed that when Sobchak was a teacher at LGU, he had social connections to him. Putin said people had written that he was practically Sobchak’s favorite student. He dismisses that, saying he was just one of Sobchak’s lecturers for one or two semesters. When Putin met Sobchak at his office in the Leningrad City Council, he explained the cause for his visit. Putin tells: “He was an impressive man, and said to me right off: ‘I’ll speak to Stanislav Petrovich Merkuriev. Come to work starting Monday. That’s it. We’ll make the agreement right now, and you’ll be transferred.” Putin told him that he would be would be happy to do that, but explained that he was not just an assistant to the president, and that he was also a staff officer of the KGB. Putin recalls, “He thought and thought, and then suddenly he said, ‘Well, screw it.’” Sobchak told Putin, “I need an assistant. Frankly, I’m afraid of going into the reception area. I don’t know who those people are.” Putin fully understood. Putin confirmed what he said his university friend had initially told him: “The people in Sobchak outer office–his cohorts–were harsh and rude in the best traditions of the Komsomol, the Soviet school. This disturbed the city council deputies and led to a conflict between Sobchak and the city council.” Putin then told Sobchak that he would be happy to come to work for him, but that I would first need to inform his managers at the KGB and resign from my post at LGU. Putin recognizes this as a delicate moment for it would be difficult to tell his managers of his intent to change jobs. As Putin recounts it: “I went to my boss and said, ‘Anatoly Aleksandrovich is proposing that I leave the university and go to work for him. If it’s impossible, I am ready to resign.’ They replied: ‘No. Why? Go and work there. There is no question about it.’” That surprised Putin. He surmised that his managers, “who were fairly subtle people and understood the situation,” did not impose any conditions on him. He remained formally listed in the security agencies, although he hardly set foot in the directorate building. Putin (left) had become somewhat disturbed by his fellow countrymen’s insouciance toward the decay of both order and humanism in the Soviet State when returned home from the GDR. He was offered a job in the central office in Moscow, but I turned it down. 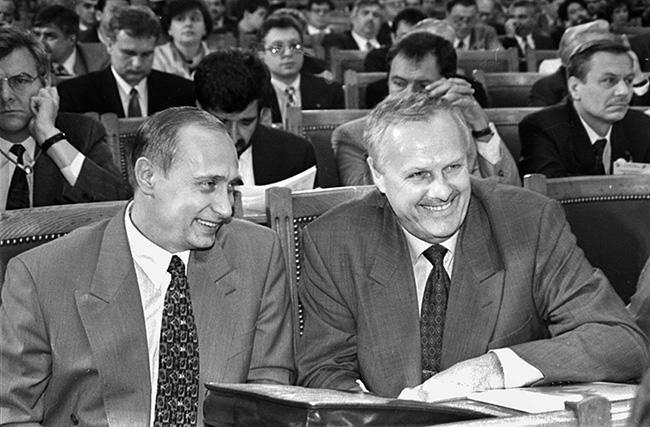 Putin’s acceptance of an “undercover” assignment at Leningrad State University led to his entry into Russia’s political milieu via Anatoly Aleksandrovich Sobchak (right), the chair of the Leningrad City Council, and to his resignation from the KGB due to political pressures. Recta conscientia traversum unguem non oportet discedere. (It is not advisable to move away from your conscience even the width of a fingernail.) Putin was also intrigued by the fact his managers never once tried to use him for operations. He says he thought they understood it would have been pointless. However, on one occasion my colleagues from the agencies tried to exploit Putin’s proximity to Sobchak. According to Putin, Sobchak would go on business trips and was frequently out of town. He would leave Putin in charge of the office. One day, he was in a big rush before a trip, and his signature was needed on a document that was incomplete. Sobchak could not wait for it. Sobchak then took three clean sheets of paper, put his signature at the bottom, and gave them to me, saying ‘Finish it up’ and left. That same evening, Putin recalls, his colleagues from the KGB came to see him. Putin explains: “We spoke about this and that, and then they mentioned how great it would be to have Sobchak’s signature on a certain document. Couldn’t we discuss it? But I was a seasoned person–I had survived so many years without a slip-up–and I sized up the situation right away. I took out the folder and showed them the blank sheets of paper with Sobchak signature. And they and I understood that this was testimony to the great degree of trust Sobchak had in me. ‘Can’t you see that this man trusts me?’ They immediately backed off. ‘No more questions,’ they said. ‘Sorry.’ And everything was nipped in the bud.” Putin noted that the situation was abnormal, and amusingly explained the salary he continued receiving from the KGB was greater than what he was receiving from the city council. In Part 6, Putin also goes into great detail about his work in the 1992 and 1996 mayoral elections in St. Petersburg and a sense is provided of his acumen and instinct for work in the political sphere. In 1992, he played a definitive role in Sobchak’s election as the first popularly elected mayor of the city. As chair of the Leningrad City Council under the old system, Sobchak could have been removed by the council members at any moment. He needed a more stable position. Sobchak finally agreed that the post of mayor had to be introduced. However, Putin explains that because he had fair conflictual relations with the majority of deputies on the council, it was not certain that the proposition would pass. Meanwhile, his public popularity was very high. Putin told the interviewers that the deputies knew that Sobchak would be elected mayor if they voted to introduce the post, and they did not want that. They liked the fact that they could always keep Sobchak on a hook. Putin says that he was directly involved in active measures to convince some of the deputies that it would be best for the city if it had a mayoral post. Putin says he also managed to mobilize the heads of the city districts. He notes that they did not have the right to vote, but they could influence their deputies. In the end, the objective was achieved through hard work. The decision to introduce the post of mayor was passed by the Leningrad City Council, by a margin of a single vote. Putin was also able to assess four years later after taking inventory of the his team’s capabilities and possibilities for success that in order to win re-election, Sobchak would need “professional campaign managers and technicians–not just a guy who could finesse the deputies.” Putin saw that it was a whole new ball game. Campaign plans had to be adjusted to fit circumstances. Putin goes into great detail about his work in the 1992 and 1996 mayoral elections in St. Petersburg. One gets a sense of his acumen and instinct for work in the political sphere. In 1992, he played a definitive role in Sobchak’s election as the first popularly elected mayor of the city. 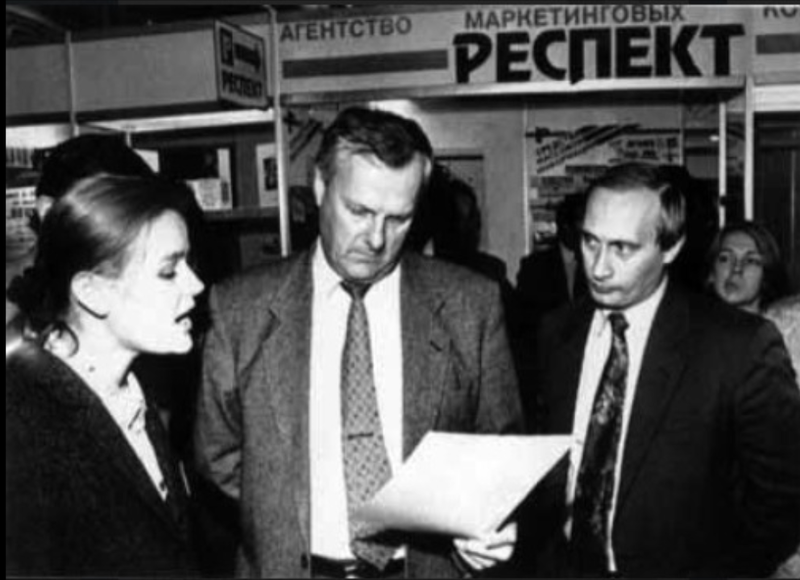 In 1996, Putin assessed that in order to win re-election, Sobchak would need professional campaign managers and technicians. He recognized it was a “whole new ballgame.” However, Sobchak decided to run his own campaign office. There were many missteps, and he lost the election. After serving in the city government of St. Petersburg, and coping with a period of unemployment, Putin dashed to the top. He served as head of the Main Control Directorate in 1997. He was named first deputy head of the Presidential Administration, responsible for the regions. He served as director of the Russian Federation Federal Security Service and then was named Secretary of the Security Council in 1998. In August 1999, he was made prime minister. It was Yeltsin’s unexpected resignation on New Year’s Eve 1999 that elevated Putin to Acting President of Russia. In Part 7, Putin explains that he was unemployed for a few months after Sobchak lost the St. Petersburg elections. This was a big problem for Putin especially since he had a family. He explains: “The situation had to be resolved, one way or another. But the signals from Moscow were mixed; first they were asking me to come to work, then they weren’t.” It was at this point that Aleksei Alekseyevich Bolshakov, first deputy to the then Prime Minister of Russia, Viktor Stepanovich Chernomyrdin, and fellow St. Petersburger, stepped forward to help Putin. He convinced Yeltsin’s Chief of Staff Pavel Pavlovich Borodin to bring Putin into the presidential administration. It was the first step in Putin’s rise upward toward the presidency. That part of the story is told in other pages of First Person. Indeed, one will find much more about Putin in the book. All things considered, one could safely state that Putin is not everyone’s cup of tea. Nevertheless, what he presents about himself in First Person is intriguing, exciting,surprising, distressing, edifying, and enlightening. It is a book that takes the reader on a journey through the halls of power in Moscow. It is a story of intrigue and excitement as much as family values and humility. It discusses people and ideas that have moved events forward in Russia in the past and the present, all from Putin’s perspective. It is hard to imagine that Putin would ever write a remarkably detailed memoir of this type today. That remains to be seen, but we still have First Person to enjoy right now. Some of our readers may have came across First Person in syllabi during their undergraduate or graduate studies or in the libraries of their organizations. However, whether our readers have already read the book or never heard of it before, greatcharlie urges all to grab a copy and examine it using the prism of present day events. It will not disappoint. This entry was posted in Academy of Foreign Intelligence, Alfred North Whitehead, Anatoly Semyonovich Rakhlin, Andropov Red Banner Institute, Boris Nikolayevich Yeltsin, Boris Yeltsin, Chechnya, Cold War, Federal’naya Sluzhba Bezopasnosti Rossiyskoy Federatsi, FSB, God, Josef Stalin, KGB, Kremlin, Mark Edmond Clark, Moscow, NATO, North Atlantic Treaty Organization, pundit, Putin, Russia, Russian Federation, Russian Federation President Boris Nikolayevich Yeltsin, Russian Federation President Boris Yeltsin, Russian Federation President Vladimir Putin, Russian Federation President Vladimir Vladimirovich Putin, Russian President Boris Yeltsin, Soviet Union, St. Petersburg, The Tragedy of Julius Caesar, Vladimir Vladimirovich Putin by greatcharlie. Bookmark the permalink.